Like many of you, I’ve gone down a path of spiritual and personal growth. I still walk it today. It is probably the most revealing, life empowering journey you’ll ever have to take. That path started for me when I came to a crossroads in my personal life and career that left me with more questions than answers, the journey of self-awareness and exploring my spirituality was started. Today, I’d like to invite you into a conversation with your heart. 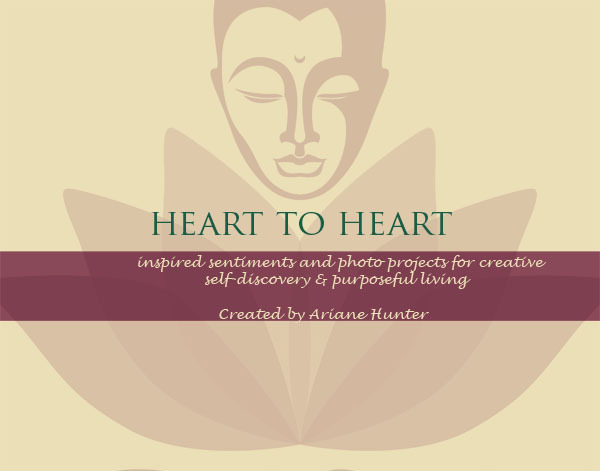 My new eBook, Heart to Heart debuts today and it is my absolute honor to share with you it’s unique message. But first, let me share with you why I created Heart to Heart. Heart to Heart was brought to you for several reasons. I see potential for greatness in you. I see your desire to act on creative impulses and the fear that holds you back. I see your desire to live mindfully and purposefully. I see a hole in this world that needs YOU to fill it. Results Are IN!! The Winner of the Street Portrait Challenge Photo Contest! It’s the second week in August and things have been rolling over here at AHP. Last Friday, we kicked off the See Beauty…Friday series with a piece that touches our need to fly and dream beyond our wildest imaginations. We also got acquainted with Matt & Megan one of my newest couples who recently got engaged. And let’s not forget the Street Portrait Photo Contest! Today I bring to you the winner of that contest, Kristy Unton of Kristy Unton Photography! Many of you chimed in with your votes and comments for Kristy’s photo of the engineer she met during the Challenge. Here in Kristy’s own words is the recap of her experience of the photo challenge and her winning image! “My family took a short weekend trip to the beautiful West Baden, Indiana and it happened to fall of the street portrait challenge weekend. I was so nervous to ask my first person and ask them to sign the release!! 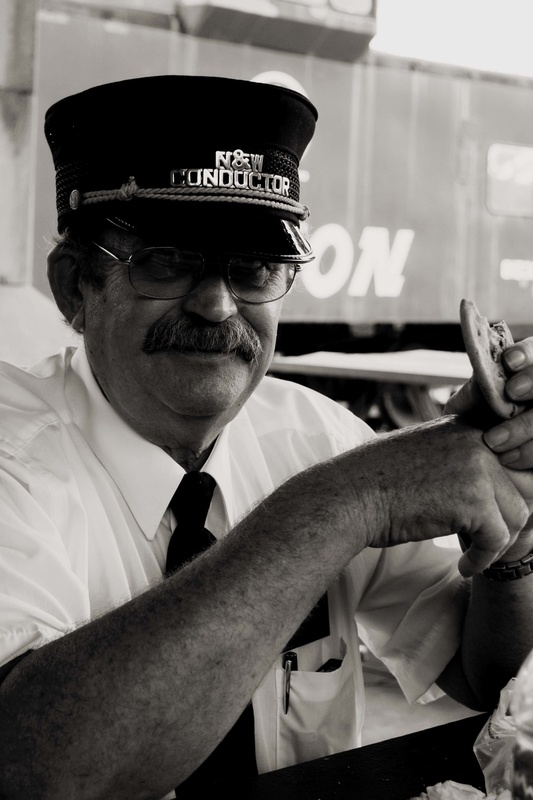 We were taking a train ride and I saw the engineer and had to snap this picture! It was my first one of the 10 we had to take so I was super nervous. It turns out the engineer is a retired college professor.....can you guess what he taught????? PHOTOGRAPHY! Crazy right??? He was sooo nice it made the rest of the pictures so much easier to take. When I saw this contest I knew I had to enter this picture as he was so helpful in the whole process!!" I am so happy to award her the grand prize which is a business coaching session with Valia Glytsis! How lucky is she?!! This is such an awesome opportunity for Kristy as she starts up her new photography business. She will be set up with the right tools to build and strengthen herself and her business. Deciding to follow your dreams and run your own photography company is only half of the battle, the other half comes when you can successfully integrate your strengths and worth to create your unique value for your business. Valia is going to give Kristy the tools and the guidance to do just that. Everyone that participated in the Street Portrait challenge displayed an amazing sense of their strength and character for the sake of their passion and determination to conquer their fears. This photo contest was a celebration of all you who came out and participated in the challenge. There will be more Street Portrait Challenges coming in the near future; this time with a twist. What am I talking about? You’ll just have to wait and see! Join me in congratulating Kristy Unton for her winning photo by leaving her a comment below! You can also find more of Kristy’s work at www.kristyunton.com and join her page on Facebook. Today, I'm so happy to announce AHP's first ever photo contest for those who participated in the challenge. I have three awesome photogs from near and far who have submitted their photo's to the contest for a chance to win...are you ready...? Last week, I invited you to join me in the Street Portrait Challenge where photographers here in NYC as well as in other parts of the states, participated. Our task was to approach perfect strangers to take their portrait. A lot of you that participated shared your stories of triumph and excitement as you conquered this challenge. I’m so happy to know you were all with me on this and we DID IT together! 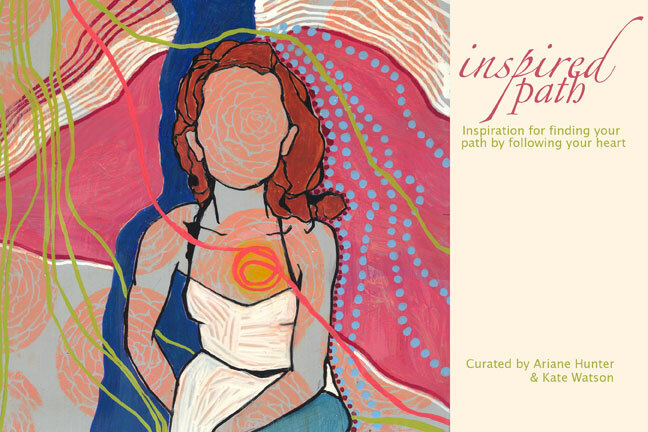 You inspire me more than you know :)! So I put together a little video of the challenge we did last weekend here in NYC. We came, we shot, we conquered! See how it all went down! Cheers to stepping out of our comfort zone in this awesome display of confidence and personal strength.